The EU-Ukraine Association Agreement will improve the business climate in Ukraine, including in the telecommunications sector, which will benefit Ukrainian consumers. This was the key message delivered by Andrew Rasbash, head of co-operation of the EU Delegation to Ukraine, on November 12 at the final press conference of a telecommunications Twinning project in Kyiv. According to Rasbash, the project’s main goal consisted of bringing Ukrainian telecommunications regulations in line with the EU’s acquis communautaire. “If the Association Agreement is signed and implemented, Ukraine, in a few years time, will become a full part of the EU’s single telephone communications market,” he stressed. The Twinning project, to which the EU earmarked €1.3 million, “has been the most ambitious project in telecommunications sphere that I have ever seen,” said Fabio del Alisal, the EU member states project leader (Spain). According to del Alisal, the project has achieved 41 key results, accomplished seven study visits to EU member states, and over 500 Ukrainian and 65 European experts have been working together on its implementation. Ihor Syrotenko, the beneficiary project leader (Ukraine), agrees with del Alisal, stressing that every party engaged in the project’s implementation, from both the European and Ukrainian sides, has contributed significantly to making it successful in the future. “The main concern now is to ensure that all the project’s achievements are put into practice appropriately,” Syrotenko said. In this regard, he noted that the National Commission has already mapped out future activities to put the project’s results to work. Responding to this, Petro Yatsuk, chairman of the National Commission for State Regulation of Communications and Informatisation, stressed that the work that has been completed and the experience gained through the project confirms Ukraine’s readiness to enter into association with the EU in the telecommunications sphere. The final press conference of the EU-funded Twinning project, “Supporting Enhancement of the Regulatory and Legal Competence of the National Commission for State Regulation of Communications and Informatisation Regarding Telecommunications Sector Regulation” took place in Kyiv on November 12. The conference was an opportunity for project leaders from the EU and Ukraine, Ukrainian and EU Delegation officials, and other stakeholders to sum up the results of the project’s implementation and to assess whether it achieved its main objectives. The event also served as a platform to look ahead to the main challenges to the project’s smooth and appropriate delivery going forward. The overall objective of the project is to support the development of telecommunications regulation in Ukraine in line with the EU’s acquis communautaire and best practices. More specifically, it is aimed at strengthening the independence and administrative capacity of the National Commission for State Regulation of Communications and Informatisation in order to ensure its ability to take appropriate regulatory measures, enforce its own decisions and regulations, and to guarantee fair competition in the market. The project, which ran for 21 months, had a budget of €1.3 million. Launched in 1998, Twinning has become a major institution-building tool. It aims to help beneficiary countries, including Ukraine, develop modern and efficient administrations with the structures, human resources, and management skills needed to implement the EU’s acquis communautaire. One of Twinning’s key ideas is to provide administrations and semi-public organizations in beneficiary countries with the opportunity to work with counterparts in EU member states. 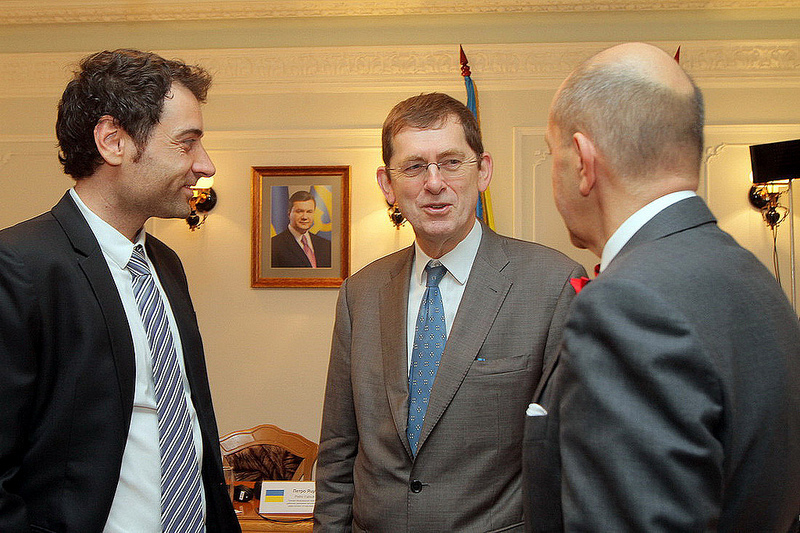 Ukraine was granted the opportunity to benefit from a Twinning project for the first time in 2006.